With polycom conference phone, manage conference room calls with simple, productivity enhancing phone features. Polycom Conference phones available in a range of models and costs, offer stylish and sophisticated phones for just about any size conference room. Polycom’s the best sound in the industry make every group meeting sound great. Polycom range of analog and ip conference phones offer sophisticated, easy-to-use communication solutions for small to large companies.The Polycom conference phone crystal clear transmission during meetings allow the participants don’t miss any of the discussion. Polycom Conference phones offer flexible, advanced features enhance audio, web, and video conferencing environments. Select from a variety of conference phone models to deal with the requirements of different users in your enterprise. Distance meetings are an effective means of sharing important information. Polycom’s range of conference phones offers solutions for each and every situation.Probably the most traditional strategy for conducting video or Audio conferencing is like gathering onsite colleagues in the conference room and calling other participants on the telephone. Good quality of sound is important to keep concentration levels high and meetings efficient . Polycom advanced audio technology allows superb audio quality even in large meetings by intelligently adapt to different room environments.So everyone is able to hear and stay heard, even if more than one person talks at a time. Polycom IP Conference Phones are packed with many smart features and designed for flexible performance. Telephony has entered into the world of information technology to satisfy today’s ever-increasing need for fast and efficient communications. IP Telephony enables seamless integration between all varieties of communication. Polycom IP Conference phones harness the inherent power and flexibility of VoIP Telephony.There are several Polycom IP Conference phones to choose from. All the Polycom Conference phones are designed to fullfill the demands of today;s business world. Additional Expansion microphones more than double your phone’s pickup range, allowing more people to actively participate. Polycom Analog Conference phone offer the cleatrst sound to every participant in every location.These conference phones are world’s best-selling models deployed on the global public switched telephone network (PSTN). Polycom Acoustic Clarity™ technology delivers exceptional performance and voice quality, making your conference calls clearerand much more productive. Dynamic Noise Reduction (DNR) actively removes background noise such as projectors and ventilation systems.Polycom Analog conference phone offer advanced features, enabling conference calls that are more flexible and productive than ever before. We have Polycom conference phones for you business audio conferencing requirements, both scalable and feature rich and meets the growing demands of todays business conditions.We have Polycom products to support all the communication methods like IP, TDM, Video , Wired or Wireless and SIP Protocol. Choose from a wide assortment of Polycom Conference Phones in Dubai office telephone systems that best fits your Business. Our Phone system installation service deliver maximum deployment flexibility and all business niches or personalization requirements.Vector Dubai offer high tech installation service for Telephone Systems and Conferencing Phones in Dubai -UAE as well as best price access in this region. 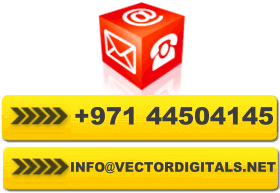 Contact Vector Dubai today for your Business Conference Phone and Office Phone System Installation or Buying your Telephone Products in UAE. We cover entire UAE included Dubai, Abudhabi , Umm Al Quwain, Ras Al-Kaimah, Sharjah, Umm Al Quwain, All Ain and Ajman.